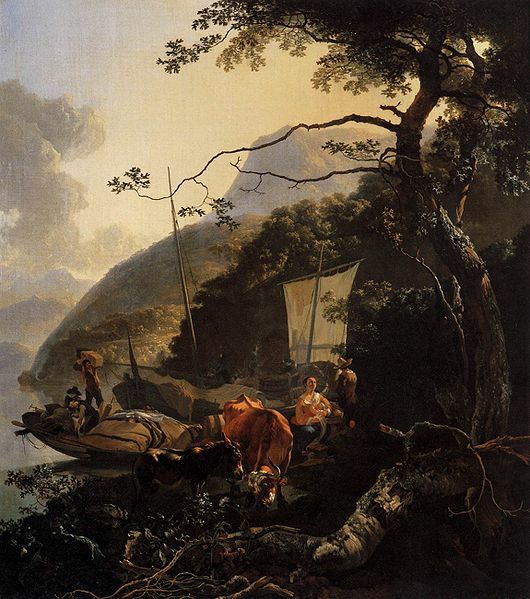 Appropriation in art gained recent media attention following the awarding of the 2010 Wynne Prize to Sam Leach for Proposal for landscaped cosmos, which bears a marked resemblance to Adam Pynacker's c.1660 work Boatmen Moored on the Shore of a Lake. Some have criticised Leach for his appropriation of another artist's work. 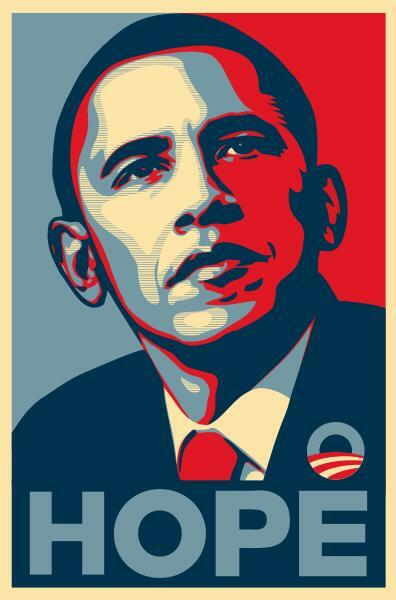 In another example, the Associated Press is currently in legal proceedings against Shepard Fairey for his use of a 2006 photo of Barack Obama in his well-known work 'Hope'. Of course, appropriation by artists is not uncommon, and has a long history extending through the Dadaists, Andy Warhol and Jeff Koons. Indeed, it would be difficult to find an artist who does not freely admit to at least taking some inspiration from those who have gone before them, or their contemporaries, in creating new works. Where the work being appropriated is within the term of copyright (currently life of the artist plus 70 years), there is a risk that the 'appropriation' of the work (or even a part of the work) will infringe copyright or moral rights. In addition, artists and galleries risk engaging in misleading or deceptive conduct in the sale of art which appropriates the work of other artists. We outline below some of the issues you, as an artist, should be aware of when deciding to 'appropriate' an artistic work for use in your own work. This outline is not intended as an exhaustive statement of the law or the factors you should consider, or as a substitute for legal advice. The appropriation of existing artistic works creates a risk of copyright and moral rights infringement. We will call the work being appropriated the Source Work and the work being produced the Resulting Work. what you are doing does not fit within a defence to copyright infringement in the Copyright Act 1968 (Cth). If copyright in a Source Work is infringed, the copyright holder could bring proceedings for infringement against you and obtain remedies including injunctions to stop you displaying or selling the Resulting Work, damages, an account of profit (ie an order that you give over the money you have made from the Resulting Work) or even delivery up and destruction of the Resulting Work. Importantly, if you 'flagrantly' infringe copyright (ie you know what you are doing) you are at risk of additional 'punitive' damages. You will also need to separately consider whether your proposed treatment of the Source Work will infringe the moral rights of the author of the Source Work. Remedies for an infringement of moral rights include damages, injunctions, declarations and orders for a public apology. We set out below some guidance in relation to the issues identified above to assist you in considering whether you may need permission to use a Source Work in your own Resulting Work. Copyright protects the expression of an idea rather than the idea itself. In other words, it is not an infringement of copyright to appropriate an idea, although the appropriation of the manner in which another person has expressed that idea in material form (eg a painting, photograph or similar) may infringe copyright. You will first need to determine whether or not your intended Source Work is within the period of copyright (generally life of the artist plus 70 years, although you will need to check in each instance since the Copyright Act contains different provisions depending on when a particular Source Work was created). If copyright has expired, the work is said to be 'in the public domain' and can be used without infringing copyright. Is what you are planning to do with the Source Work protected by copyright? The Copyright Act gives the copyright holder certain exclusive rights in their work. It is an infringement of copyright for another person to exercise those exclusive rights without permission. communicating the work (this includes making the work available online). If you use a Source Work without permission in any of these ways, you may infringe copyright in the Source Work. This, however, is subject some points below. Are you using the whole or a substantial part of the Source Work? If you are using the whole of the Source Work in the Resulting Work, your use is likely to infringe copyright in the Source Work unless your use falls within a defence to copyright infringement (see below). If you are using less than the whole of the Source Work, you first need to consider whether you are using an important or 'substantial' part of that work. In Australia, infringement of copyright in an artistic work will occur when you reproduce the whole or a substantial part of someone else's work in material form without permission. there must be sufficient objective similarity between the Resulting Work and the Source Work (or a substantial part of the Source Work). In other words, there must be copying involved rather than a mere resemblance. What is important is whether the part taken from the Source Work is a substantial part of the Source Work, not whether it is a substantial part of the Resulting Work. Subject to any applicable defences (see below), if you reproduce a substantial part of a Source Work without permission, you are likely to be infringing copyright in that work. If the Resulting Work reproduces the whole or a substantial part of the Source Work, is a 'defence' against infringement available? The use of the Source Work for the purposes of criticism or review of the Source Work or other materials will not infringe copyright so long as that use is 'fair'. Generally, criticism or review will involve some form of judgment on the Source Work in question, or use of the Source Work to make a judgment on some other material. The Copyright Act lists a number of factors to be considered in determining whether a particular use for this purpose is 'fair', including the possibility of obtaining the Source Work within a reasonable time at an ordinary commercial price and the effect of the dealing upon the potential market for the Source Work. The use of the Source Work for the purposes of parody or satire will not infringe copyright so long as that use is 'fair'. This is one of the newer defences in the Copyright Act and so it unclear how it will be applied by the courts. However, a parody would usually be of the underlying Source Work while a satire would usually use the Source Work to draw attention to a certain issue (often through sarcasm or irony). Given the uncertainty surrounding these defences, and the lack of consideration given to the issue of 'appropriation art' by Australian courts, this is an area to consider but not necessarily rely upon if you are using a substantial part, or the whole of, a Source Work. using a different Source Work. the right not to have their work treated in a derogatory way (which includes the doing of anything that results in a material distortion of, the destruction or mutilation of, or a material alteration to, the work. Such actions must also be prejudicial to the author's honour or reputation). If your planned use of a Source Work may infringe moral rights, you should either obtain the author's consent or ensure your actions in relation to the Source Work are reasonable in the circumstances (other than false attribution which cannot be 'reasonable'). It is also possible that a use of the Source Work which does not infringe copyright may still infringe the author's moral rights in the Source Works. For this reason it is important to consider both factors before proceeding with the Resulting Work. Artists, their agents and galleries that exhibit works should also consider the implications of consumer protection laws which prohibit persons, businesses and corporations, in trade or commerce, from engaging in misleading or deceptive conduct, or conduct that is likely to mislead or deceive. 'Trade or commerce' will include the sale of artworks and may also include the exhibition of art works in a gallery, even if those works are not for sale. the artist has obtained the necessary approvals or licences from the author of any Source Works reproduced in the Resulting Work (the Approval representation). Misleading and deceptive conduct, or conduct likely to mislead or deceive, can form the basis of an application to the Court for, among other things, an injunction preventing the exhibition or sale of a Resulting Work, damages for any loss resulting from a person's reliance on the misleading conduct, or delivery up for destruction of the Resulting Works. Importantly, claims of misleading and deceptive conduct (as well as infringement of copyright and moral rights) can cause significant reputational damage to those involved. Resulting Works may, in one sense, be considered to be new and original works simply by reason of their creation and the significant work required from the artist in adapting the Source Work to create the Resulting Work. However, in considering whether consumers have been misled (or are likely to be misled) you must consider what reasonable consumers expect when purchasing the Resulting Work and, in particular, whether some consumers would reasonably expect such a work to be your wholly original creation. To determine this, the Court will consider the class of consumers likely to be affected by the conduct in question (eg the offer for sale of the Resulting Work) to determine whether any of those consumers may be misled. Although the class of consumers will include the experienced and astute, it will also include the inexperienced and gullible. So, for example, where a particular work is offered for sale to a limited audience of consumer (eg an inner city gallery attended by consumers particularly savvy in matters of art), it is arguable that those consumers will understand that the Resulting Work (as with most artworks) may involve appropriation from previous works, and so are unlikely to be misled. However, where the offer for sale is broader (eg. a sale on eBay or similar), the number and type of consumers who will be exposed to the sale and therefore affected by your conduct could increase substantially and include those consumers not savvy in matters of art. This will increase the likelihood that some consumers may be misled. In such a scenario, you should consider reducing that risk by providing consumers with sufficient information to inform them that the Resulting Work makes use of Source Works (eg in the description of the Resulting Work). Where the use of a Source Work in a Resulting Work is obvious and recognisable, it is arguable that the offering for sale of that Resulting Work impliedly represents to consumers that the artist has sought the copyright licences required to reproduce the Source Work. Further, there is a risk that simply by offering the Resulting Work for sale an artist, their agent or a gallery is impliedly representing that all necessary licences have been obtained (not simply where the appropriation is obvious). Where licences are required and have not been obtained, the Approval representation would be false and misleading and amount to a contravention of consumer protection laws. any licences or approvals required in relation to the Resulting Work have been obtained. As this article notes, it may be difficult to make these promises in relation to appropriation art. You should be aware that if you make such promises, the other party to the contract may be able to 'get out of' the contract if they are able to argue that the promises were false or seek other remedies including damages for breach of contract. As we have seen, it is important to consider copyright, moral rights and consumer protection issues, including misleading and deceptive conduct, when creating an artwork. This is especially important if your art practice involves appropriating elements of your work from existing artistic works. Although the laws and guidelines discussed above may often appear to restrict or inhibit the creation of new art it is important to consider that these laws and guidelines also protect your work from unauthorised use, derogatory treatment or use in a way which may mislead or deceive the public. Copyright law also plays an important part in protecting the income streams of all artists. Dan Posker and Cameron Patience are solicitors in the Intellectual Property Law group at Freehills.